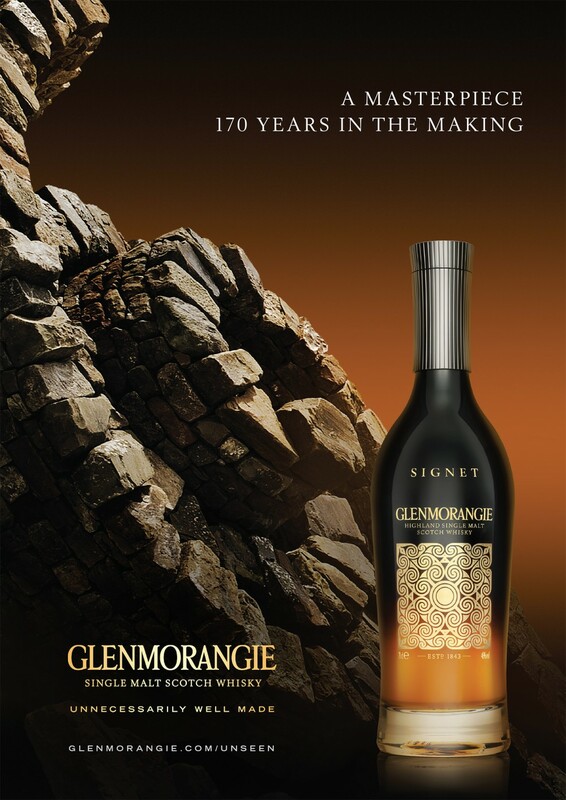 Signet is Glenmorangie’s richest malt expression and sits at the pinnacle of the brand’s range of Unnecessarily Well Made whiskies. 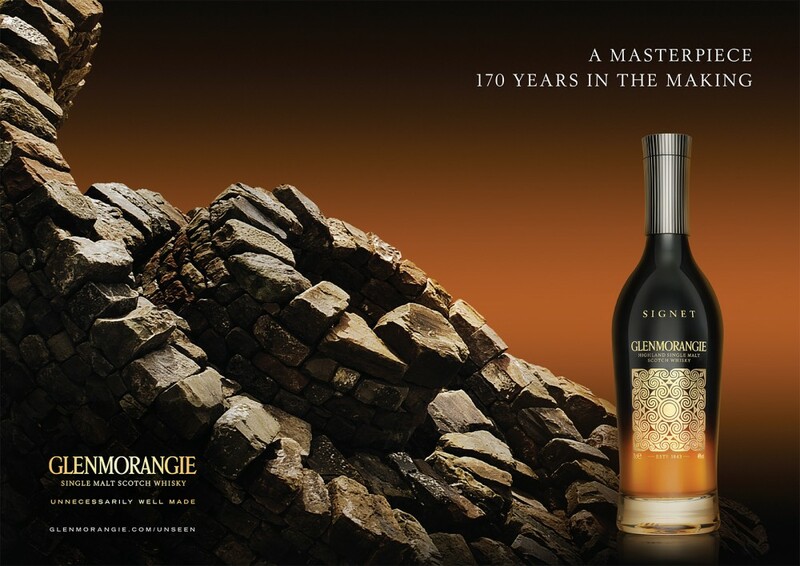 Created from ancient casks and crafts, Signet embodies the distillery’s harmony with its local terroir. BSUR was asked to reposition this generous whisky as a timeless masterpiece of nature in a new international campaign targeted at high net worth individuals. 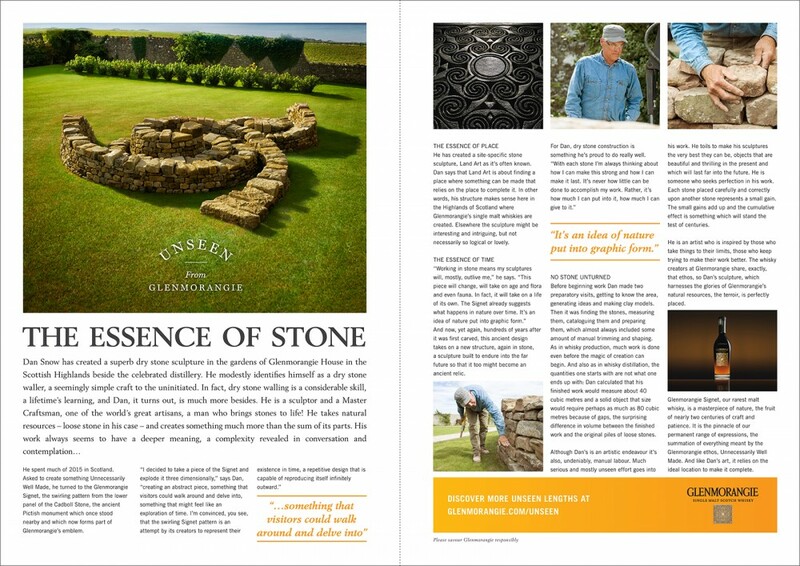 We commissioned internationally renowned land artist Dan Snow to create an art piece inspired by the qualities of the Glenmorangie brand, terroir and in particular, the Signet expression. A creation that embodies the concept of a masterpiece of nature, bringing to life the idea of the interaction with nature and art through the use of permanent natural materials which evolve with their surroundings over time. The artwork toured beyond Scotland in the form of a print campaign that featured in selected publications such as Monocle and GQ and in high-end travel retail environments.